As part of FTI Cocoon project objectives to interest multiple stakeholders for the Cocoon, LandLife Company took part in an international course on restoration of degraded drylands and monitoring of desertification processes in Zaragoza (February 5-12, 2018). 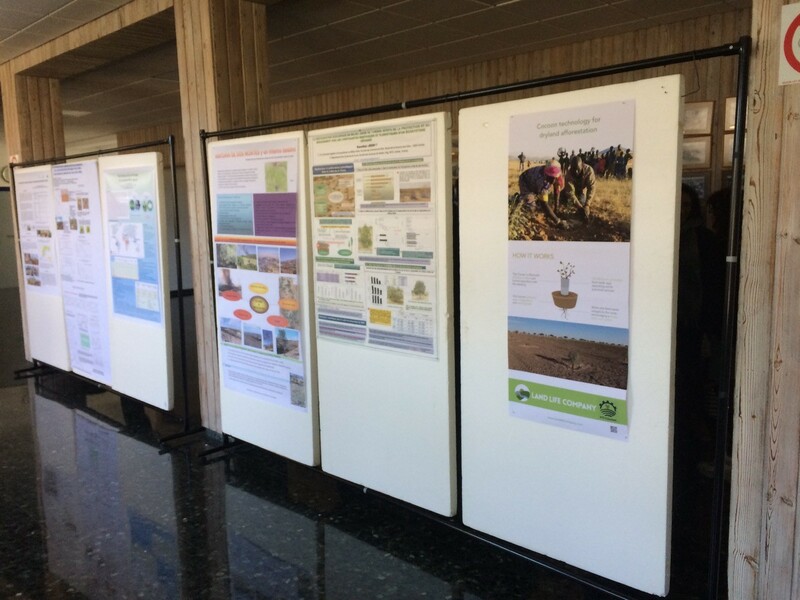 On this occasion, a poster presentation was given on the Cocoon-technology to land restoration experts originating from Northern Africa, Southern Europe, Middle East and South America. In total 28 experts participated, but also 10 lecturers specialised in dryland restoration took note of the market opportunities of the new Cocoon. More information on the course see Link. This entry was posted in News and tagged Cocoon, International Course, LLC, Zaragoza. Bookmark the permalink.